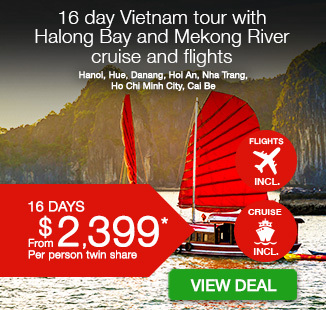 20 day Vietnam and Cambodia tour with Halong Bay and Mekong River cruise including return Vietnam Airlines flights, an overnight cruise on both Halong Bay and the Mekong River, all accommodation and transfers within Vietnam, and more. 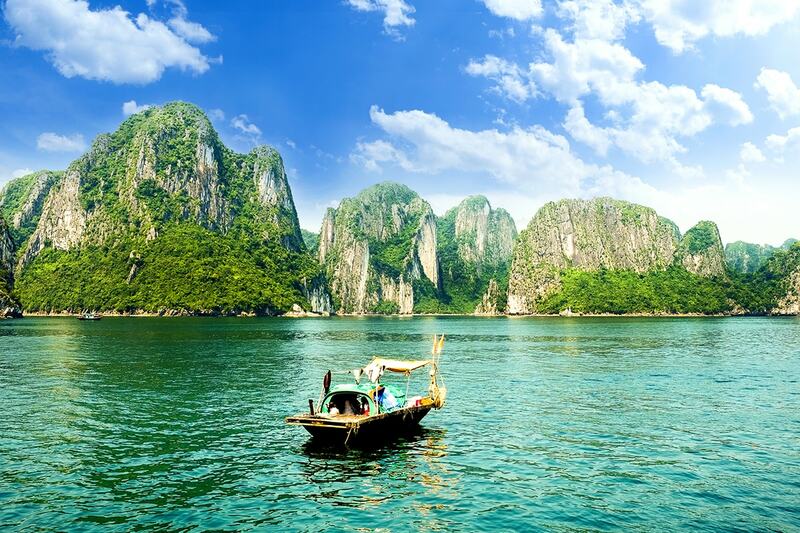 The extraordinary sights, landscapes and culture of Vietnam and Cambodia will thrill all of your senses on this 20 day Vietnam and Cambodia tour – including overnight cruises on both Halong Bay and the Mekong river. Experience the vibrant atmosphere of Hanoi with a city tour and head to Halong Bay to board a traditional Vietnamese junk boat. An overnight cruise on the UNESCO World Heritage-listed bay rewards with more than just a beautiful outlook; it gives a front-row seat for the incredible sunsets and sunrises. Journey to Hue to see the Imperial City and seek out French-style architecture and pretty riverfront walks in Hoi An. Swim and snorkel off the coast of Nha Trang, and learn about the history and impact of the Vietnam War at the Cu Chi tunnels site outside of Ho Chi Minh City. 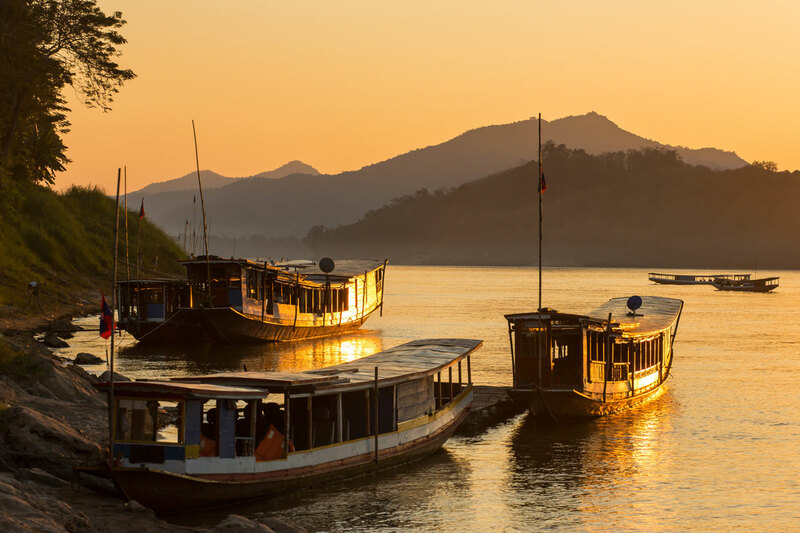 Move from the city to the Mekong river for an overnight cruise along this powerful delta and enjoy stops to local villages and temples along the way. 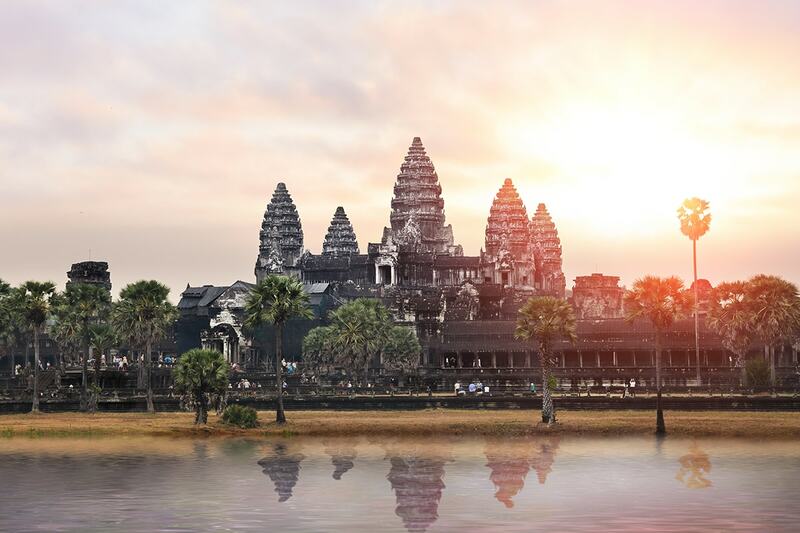 Follow the call of Cambodia and land in Siem Reap to visit the awe-inspiring Angkor Temples. 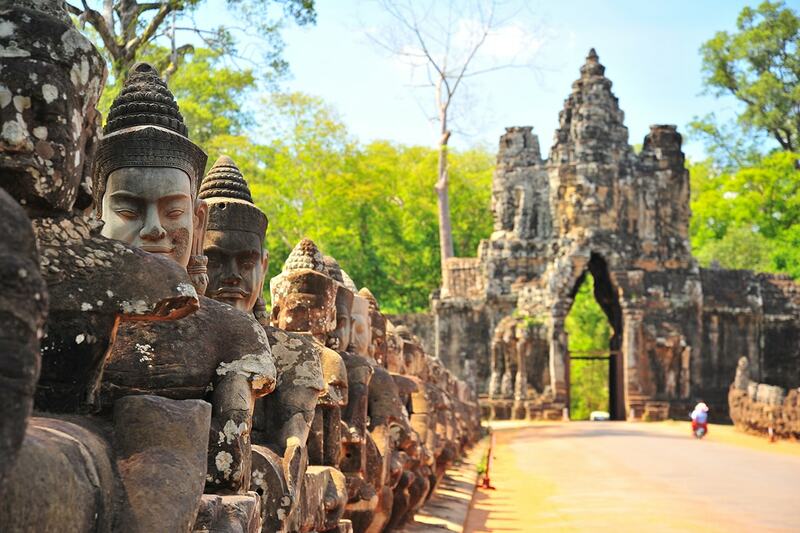 Here, you will have the opportunity to see both Angkor Wat and Angkor Thom. 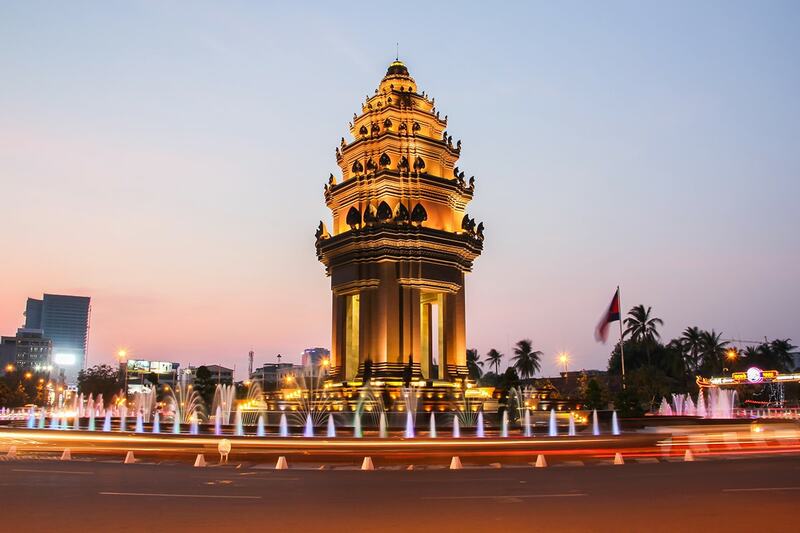 Voyage to Phnom Penh and take in the city, and hear about the solemn legacy of the Khmer Rouge. 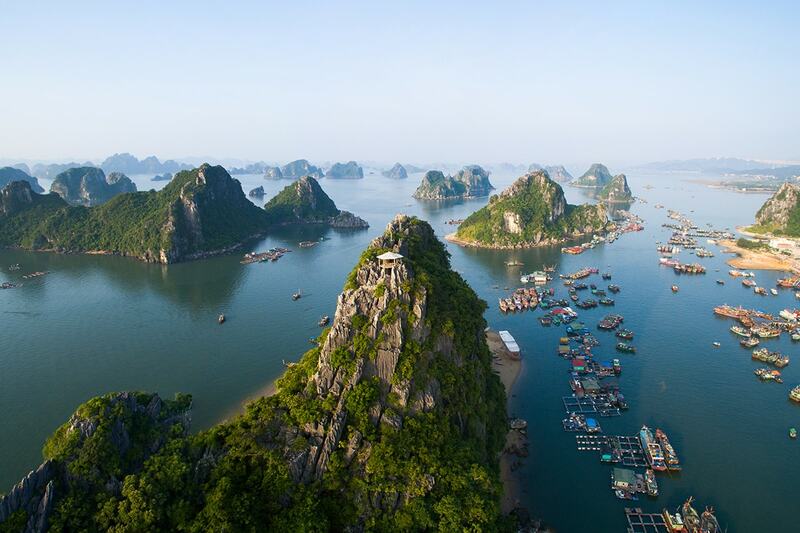 Say hello to Vietnam as you board a flight bound for Hanoi. You will be met on your arrival at the airport and transferred to the hotel for check in. 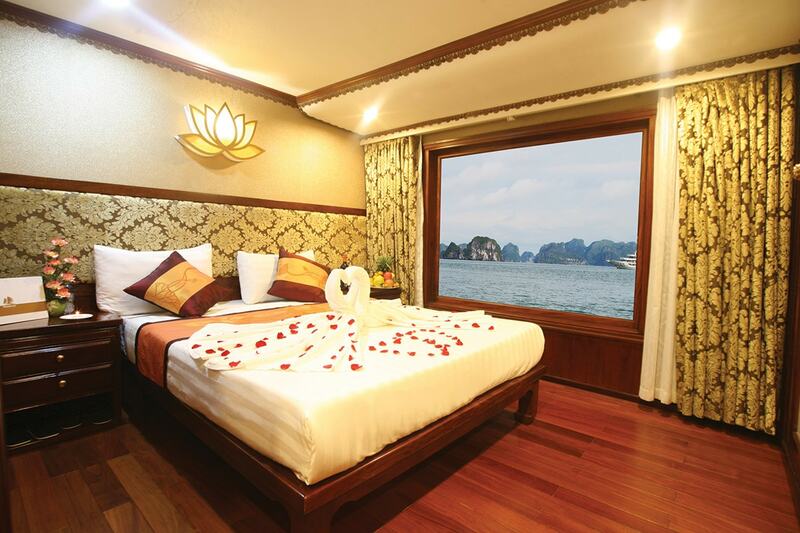 Travel by coach through the rich farmland of the Red River Delta towards Halong Bay. The bay was declared a UNESCO World Heritage Site in 1994 and is a magnet for tourists eager to take in its spectacular scatter of islands, wave- and wind-eroded grottoes, and hidden caves. 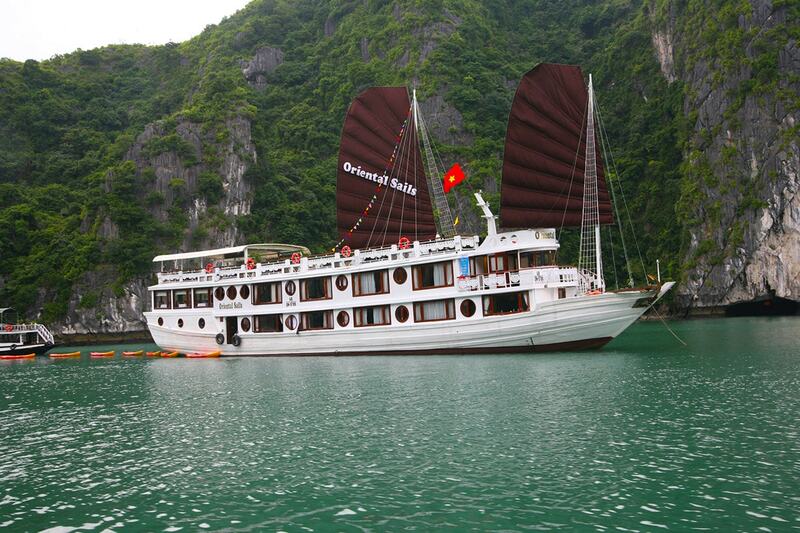 Upon arrival, you will board a Vietnamese junk to explore the stunning scenery with a myriad of mysterious caves of all shapes and sizes. 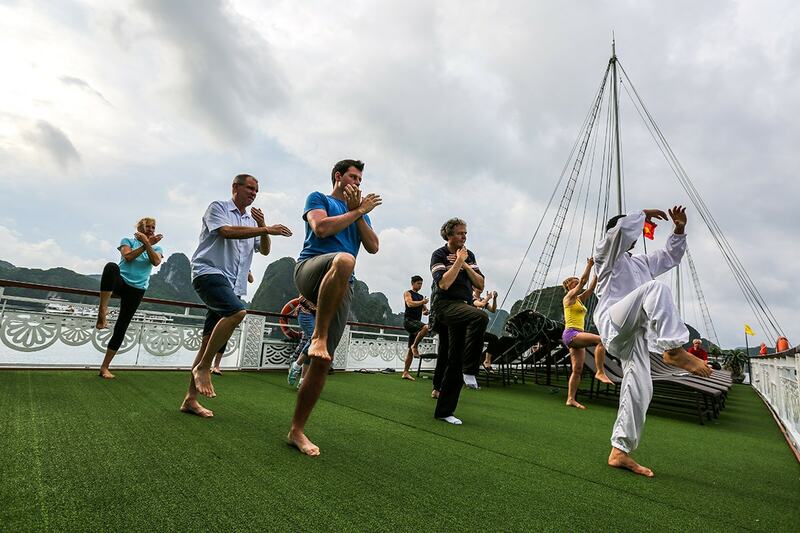 Rise early to partake in a morning Tai chi session on the junk’s top deck or wake up slowly and sip coffee or tea as you watch the sunrise. Hop into one of the rowboats and be taken out to explore the surrounding islands. Return to the junk for breakfast and enjoy more time on board. A light lunch is served before the group heads back to the jetty, where a driver meets you and takes you to Hanoi Airport. Fly to Hue and be transferred to the hotel upon arrival. Enjoy an afternoon walk around Hanoi’s Old Quarter and explore the labyrinthine alleyways and streets. Refuel with samples of authentic North Vietnamese fare, including stuffed pancake, banh mi, sticky rice balls and egg coffee. Additional cost applies. 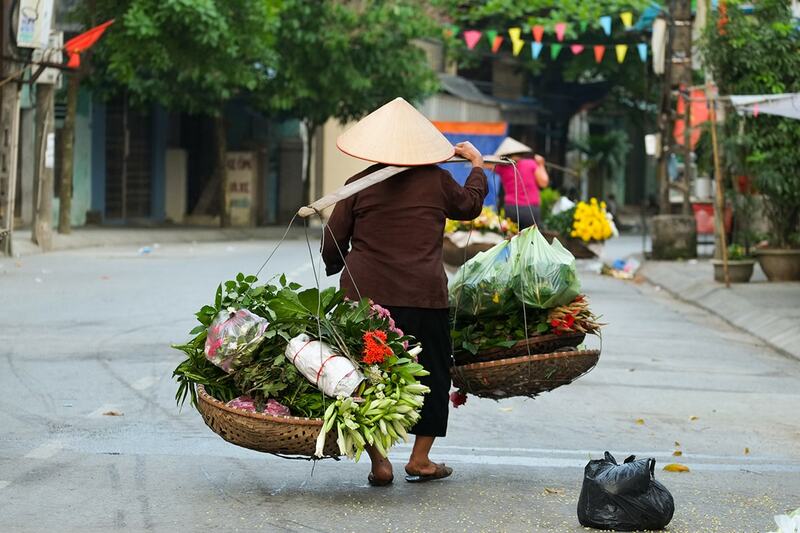 This morning you will take a half day Hanoi City Tour before your flight to Hue. 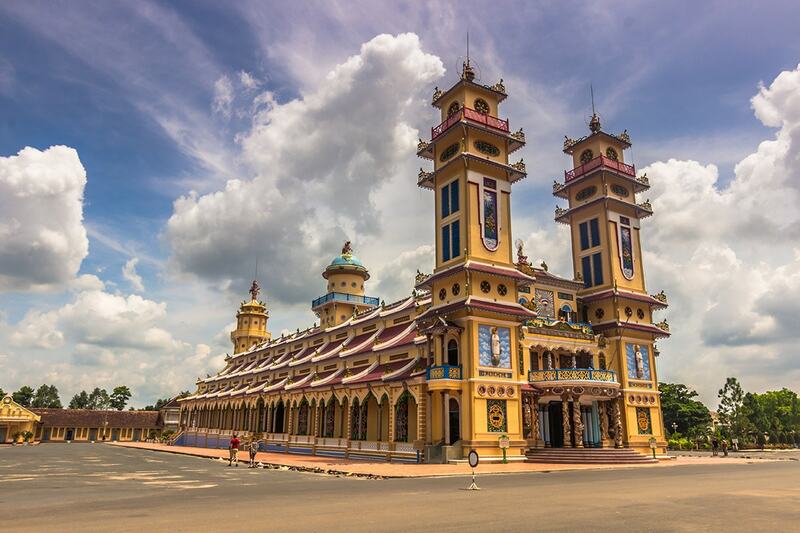 Visit Ho Chi Minh Mausoleum, One Pillar Pagoda (one of Vietnam’s two most iconic temples), Temple of Literature known as the first university of Vietnam and Tran Quoc Pagoda. Today, visit the Imperial City. This was the former seat of power for the Nguyen Dynasty and it houses Flag Tower, Noon Gate, Nine Dynastic Urns, Nine Holy Cannons, Thai Hoa Palace and the Forbidden Purple City. The next stop is a boat ride on Perfume River and a visit to Thien Mu pagoda, where you will enjoy a vegetarian meal prepared by local nuns. The rest of the day is free time. 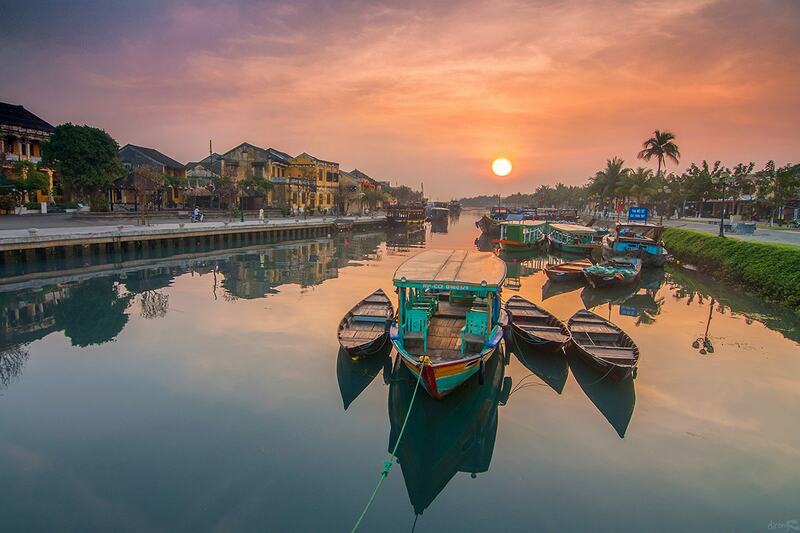 Head to Hoi An today. The journey to reach this charming French-style town takes you over the Hai Van Pass, which was once the boundary between the Dai Viet and Champa kingdoms. The pass forms a natural weather barrier too. There is a transfer to the Hoi An accommodation. Take a bite out of the flavours of Vietnamese cuisine and learn what goes into creating typical Vietnamese dishes with this cooking class. A professional chef is on hand to offer tips, tricks and techniques. Finish the class by sampling your creations with your fellow cooks. Explore Hoi An on foot and wander past an old merchant’s home, the local market and a Chinese temple. You will also see the Japanese Covered Bridge, which was originally built in the 1590s to connect the Japanese community with the Chinese quarters. Spend your afternoon leisure time strolling through Hoi An’s streets, visiting a tailor, or sipping a drink while sat at a riverfront café. Depart the hotel for the 40km journey outside Hoi An. Arrive at My Son Sanctuary, a great sample of ancient Champa civilization situated in the southern region of Vietnam. Stand astounded by a great number of exquisite stone sculptures, temples and towers nestled in tropical jungle. There will also be a traditional music show that you can enjoy. Around late morning, we will journey back to Hoi An. Tra Que Vegetable Village Tour – Observe and try the local farming activities. Learn the process of planting vegetables such as raking the ground, sowing, watering, picking vegetables and many others. A light meal will be served during the tour. The whole day is free time. You might continue your discovery of Hoi An, or perhaps schedule some downtime by the hotel swimming pool. You can also head to the Hoi An beach. Travel to the foot of the Ba Na Hills and ride by cable car up to the Marseille station. It is a short walk to the Golden Bridge from the station. The newly-opened bridge has been designed to make its visitors feel as though they’re walking on clouds. Make sure your camera is charged for the incredible photo opportunities! Continue with a walk into le Jardin d’Amour. The whole garden is made up of 9 gardens, all telling different stories and designed in different styles. 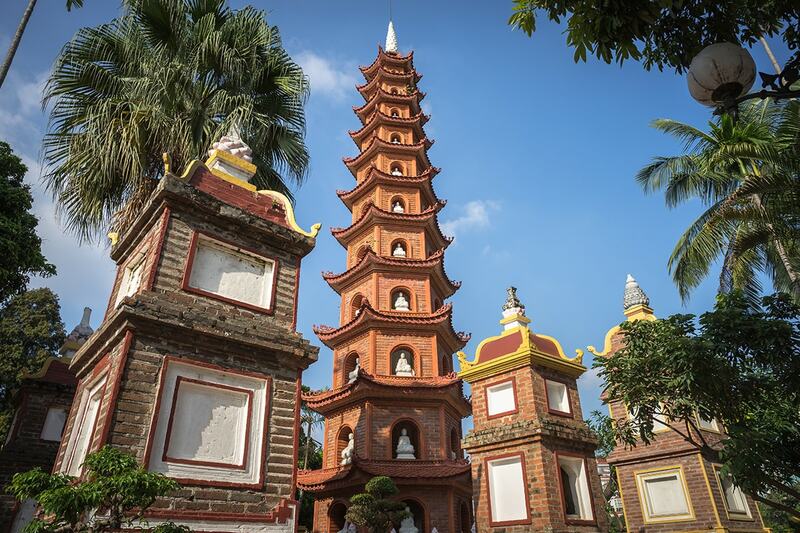 The last stop of the excursion is a visit to Linh Ung Pagoda to admire the 27-metre high Shakyamuni statue. Leave Hoi An to make for Danang Airport and board a flight to Nha Trang, a popular coastal resort city. Once you are transferred and checked in at the hotel, the remainder of the day is free time to explore this vibrant seaside. Spend the day hopping behind the islands and seeing the beaches of Nha Trang. Go to Tri Nguyen Aquarium on Mieu Island to catch a glimpse of native sea life and slip on a snorkel as you paddle in the waters of Mun Island. Try your hand at a water sport while on Mot Island, Tranh Beach Island or the isle dubbed ‘Mini Beach’. There are ample opportunities for swimming and relaxing along the way. Visit a local fishing village on the way back to the mainland. There is more free time before you are transferred to the airport for the flight to Ho Chi Minh City. A hotel transfer greets you upon arrival and the rest of the day is at your leisure. Teh Dar Show – Join us a fantastic cultural Teh Dar Show and immerse in an interesting story of Vietnamese highlanders. Get ready to be amazed at the stunning acrobatic movements of the skilled artists and feel the spiritual life’s beauty through an exceptional background live music. Saigon Dinner Cruise – Dinner on Saigon River Cruise offers an opportunity to witness another side of Saigon. The city is not only a bustling metropolis but also a romantic land. Hop on a huge wooden barge and sail down the river. Feel the gentle breeze caressing your skin and enjoy a lovely dinner accompanied by the traditional music and dance performances. Saigon After Dark Tour. Discover Saigon’s nightlife on the back of a vintage Vespa scooter. Enjoy your amazing night by whisking away the city and stop by some shops to taste Saigon’s best authentic local food. A half-day tour of Ho Chi Minh City departs after breakfast at the hotel. 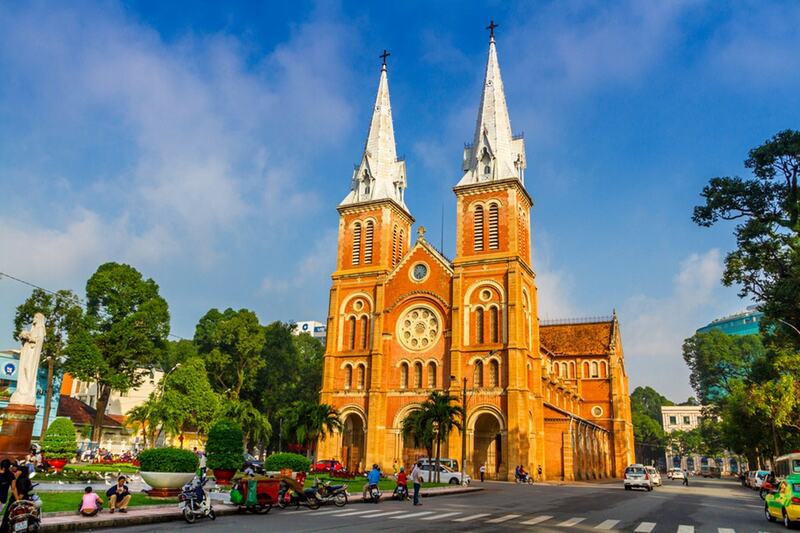 It takes in sights such as Central Saigon Post Office, Notre Dame Cathedral and the War Remnants Museum. Another highlight is soaking up the lively atmosphere of Ben Thanh market. This afternoon’s excursion is to Cu Chi tunnels. Known for its role during the Vietnam War, the tunnel network gives its visitors an opportunity to learn about this 20th-century conflict. Depart for Cai Be in the Mekong Delta after breakfast. The group then boards a boat and sets out for the overnight river cruise. Tea and fruit are served along the way and the boat makes regular stops, including at a pottery factory, the outdoor market at Sa Dec, the house of Huynh Thuy Le, and Cao Dai Temple. As the cruise sails this mighty river, travellers will pass by local villages and monkey bridges. The last stop before sunset is Nha Co, an ancient house that dates back to the 19th century. Be welcomed by the owner and enjoy a candlelit dinner before returning to the boat. Tonight is spent on-board. It is an early start this morning, so you can visit the hustle and bustle of Cai Rang Floating Market. Breakfast is served on-board the boat as it moves between the local barges carrying fresh fruit and vegetables. Continue the cruise towards Victoria Can Tho and disembark. 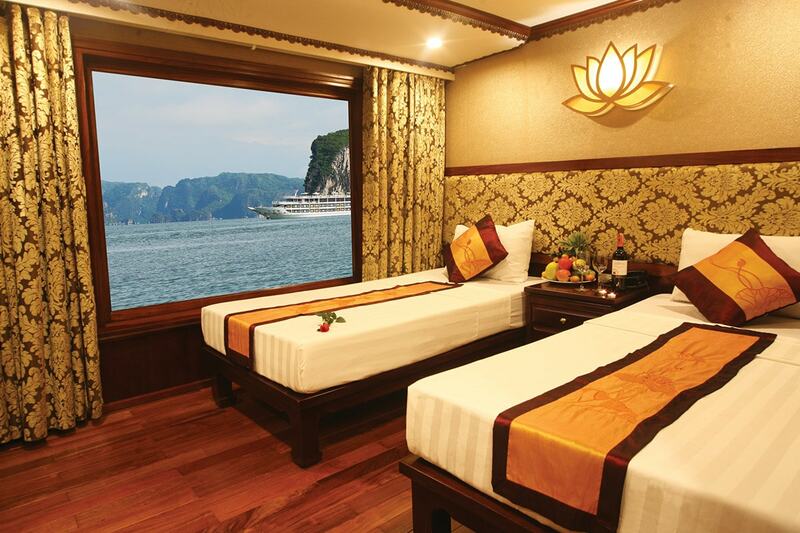 A transfer takes you back to Ho Chi Minh City. Catch a flight from Ho Chi Minh City to Siem Reap, Cambodia. The evening is at your leisure once you have been transferred to the hotel and are checked in. It is a busy day discovering the mystique of the Angkor temples. The first visit of the day is to the iconic Angkor Wat and then you move to the ancient Ta Prohm monastery. See Angkor Thom and the Bayon in the afternoon. Seek out the Elephant Terrace and the raised Leper King Terrace. You will have free time in the evening. There is some leisure time in the morning before you travel to Phnom Penh by bus (approximately 6 hours). The evening is yours once in Phnom Penh. Start your trip with Kampong Kleang, a floating village on the Tonle Sap Lake, and as yet bypassed by mass tourism. All the houses are on stilts offering an exceptional natural environment with breathtaking views of floodplains, rice fields and water vistas as far as the eye can see. Walk through the village meeting the locals and a family who raises crocodiles. 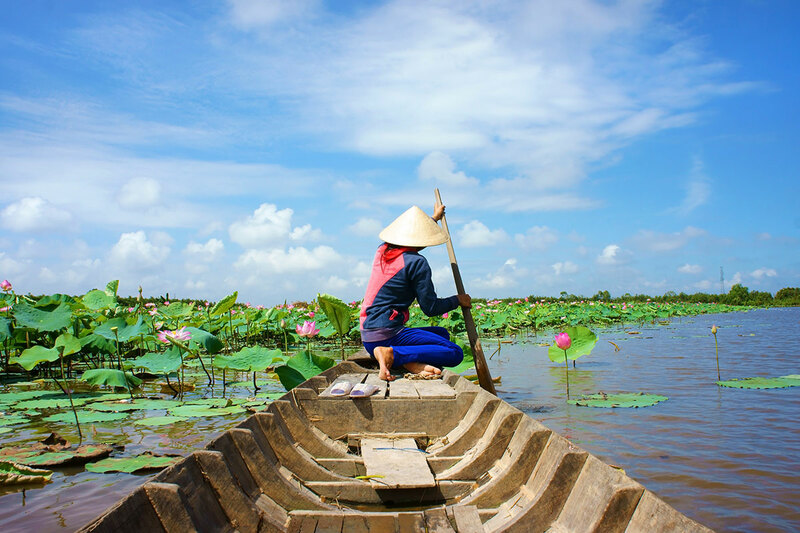 Afterwards, travel by boat over the canals to a large lake where Vietnamese people live when they are displaced from their homes because of the seasons. Explore Phnom Penh this morning. 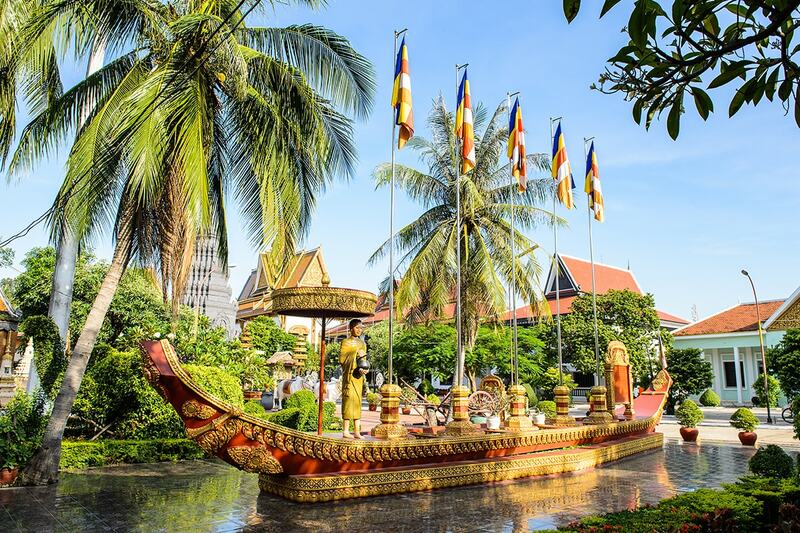 Take in the city’s sights, from the Royal Palace and the Silver Pagoda to the National Museum and Wat Ounalom. Shop for souvenirs at the Central Market and watch the royal dance rehearsal by the Apsara Arts Association as you enjoy lunch. The group learns about modern Cambodian history in the afternoon; visiting the site where journalists camped on the eve of the Khmer Rouge takeover and touring the Tuol Sleng Genocide Museum. The insights include a stop at Choeung Ek Genocidal Center. Head to the airport after breakfast to take a flight back to Australia. A deposit of $1,000/$1,300/$1,500 per person are due at the time of purchase in order to secure your date. 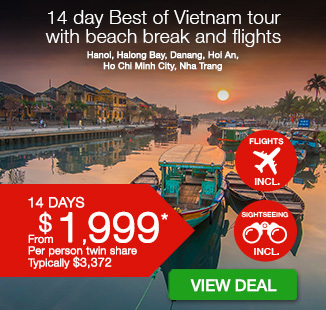 $1125 per person in addition to the twin share voucher. The options tours are subject to availability and minimum numbers. You will be contacted after submitting your booking form to book any optional tours. * Departures in February, March, April, October and November incur a peak season surcharge of $200 per person. ** Departures in January and December incur a peak season surcharge of $800 per person.